I remember as a kid my grandma would invite my family to dinner once in a while on Sundays. I remember her serving chicken, if I remember correctly baked chicken. It was always so good. It is funny how things like that stick in your head even though it is long past. Maybe that is why I still love to eat chicken today. Like my grandma I like to serve it on Sunday also. Maybe not always the baked chicken that she made, but still finger licking good. I found an interesting baked chicken recipe on Pinterest. It was a simple recipe with only a few ingredients, was easy to put together, and the end result was scrumptious. The original recipe called for boneless chicken breast, but I decided to use chicken that had the bone still in. 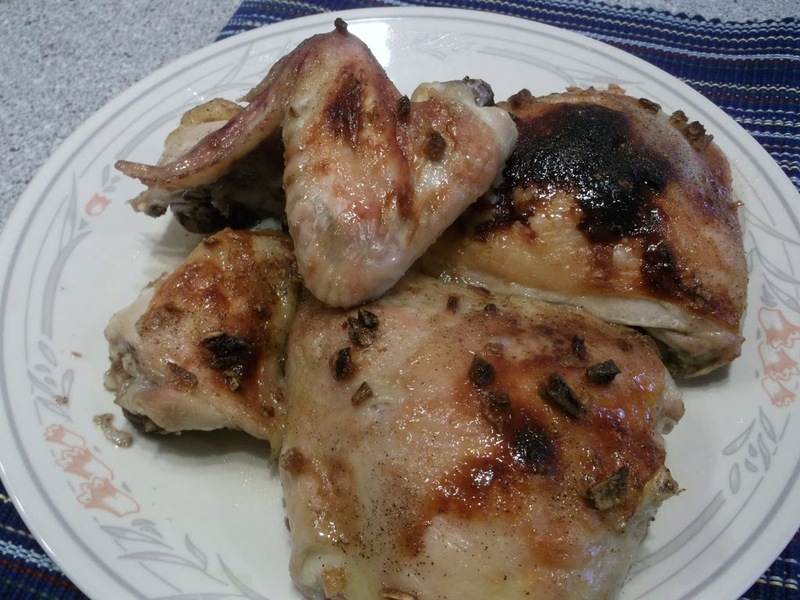 Brown sugar and garlic, the two main ingredients turned my chicken into a family pleasing meal. Two ingredients I would not have thought of pairing together for the mail ingredients. If you choose to make this with boneless chicken breast or bone in chicken you won’t be disappointed. 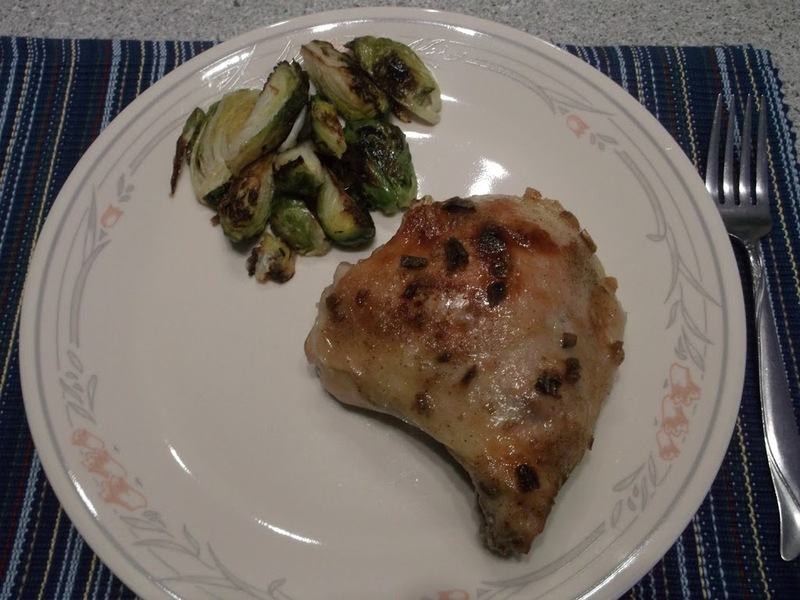 I served the chicken with the Brussels sprouts that was from my last post. 1. Preheat oven to 450 degree F. Line a baking sheet with aluminum foil and spray with a no stick cooking spray. 2. In a small skillet, sauté the garlic with olive oil until tender. 4. Place chicken in the prepared baking dish and top with the garlic and brown sugar mixture. 6. Bake for 35 to 45 minutes until juices run clear. Baking time will depend on the size and thickness of the chicken. I don’t believe I’ve ever combined garlic and brown sugar! But it sounds really interesting. Definitely something I should try – thanks for a great idea! 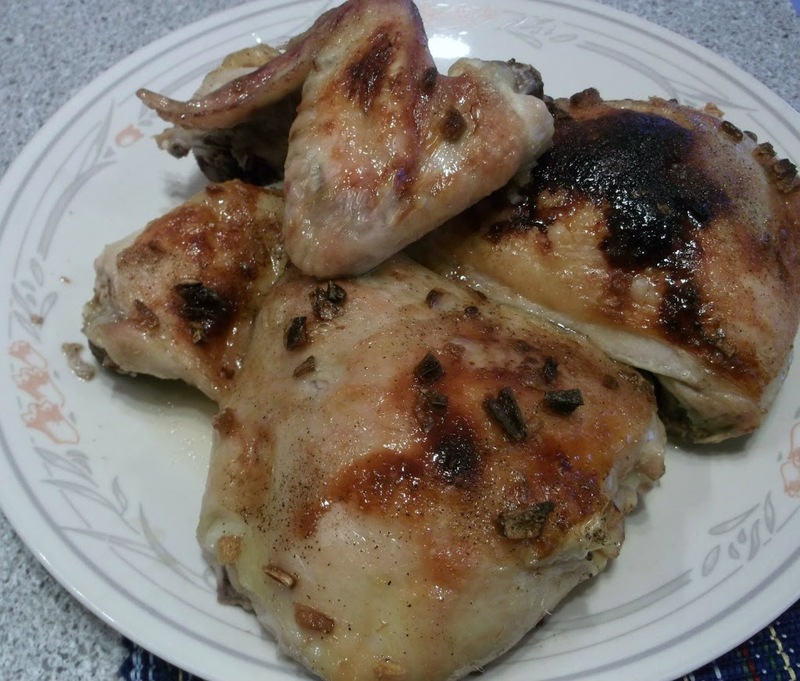 I would never think to pair garlic & brown sugar together either… the chicken looks tasty and comforting. It is a strange combo but I bet it turned out totally delicious! It sure looks good!